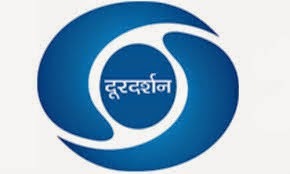 क्‍या terrestrial TV से प्रसार भारत को नुकसान हो रहा है ? Free Dish (फ्री डिश) की उपलब्‍धता को कैसे बढ़ाया जा रहा है? one thing comes into my mind while watching DD free dish DTH services that channels are showing repeated program which lost interest somewhere. 2nd thing is that channel should have variety like there is no english news channel of India. Its a very nice platform for general public and particularly for those who cant afford to have expensive private DTHs, there are lots of people who don't have access to these services too so more steps need to be taken to promote this service around the country, The main issue is there bad quality set top boxes in the market. I have done lots of research about it and found a very nice Set top BOX from SOLID 6042 its made of the superior quality material slim and pretty it looks better than premium set top boxes and out put quality is awesome supports HD. If anyone wants to install Free Dish I highly recommend this set top box.